Description: RAF Cairo-Baghdad Service, Baghdad 'Internment Camp' to London, OHMS cover typed 'Air Mail' with embossed logo on flap franked 2 1/2a x3 and 1a x2 ‘On State Service’ stamps verso canc double ring cds's which are difficult to read apart from a clear " *******internment/21 Jul 22". 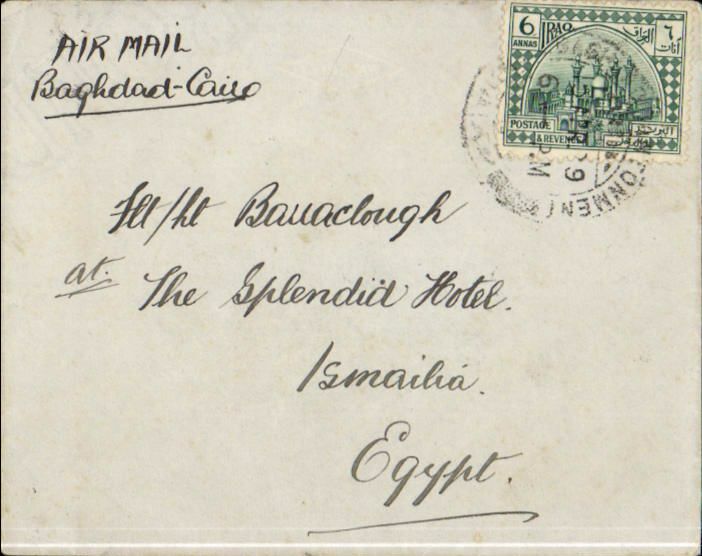 Interesting item with uncommon cover and scarce postmark. 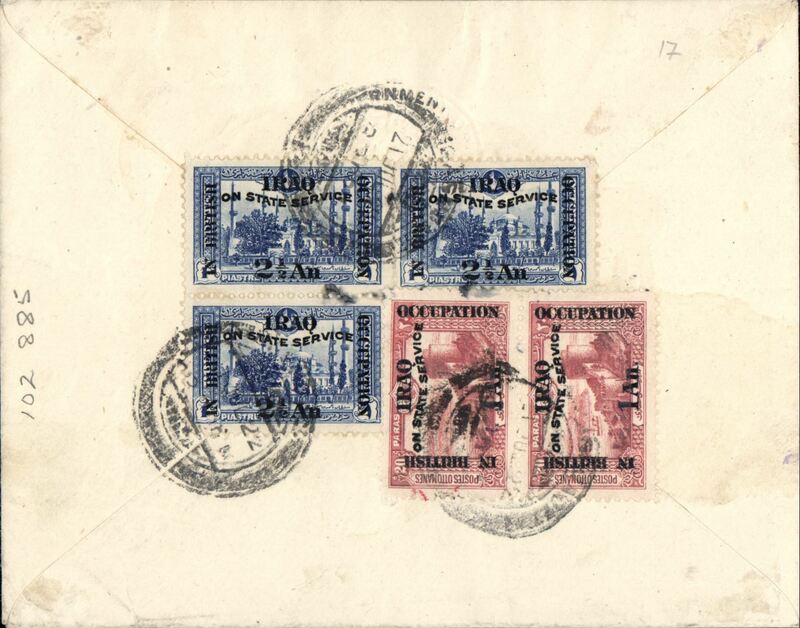 Description: Baghdad to Cairo airmail, Baghdad to Ismailia, Egypt, bs 19/4, via Alexandria 17/4, 70 Squadron RAF cover with blue demi-wing lion and '70 Squadron RAF' embossed on flap, franked 6 annas. Moved to Iraq in 1923 and re-equipped with Vernon bombers/transports which were flew on the Cairo-Baghdad air mail run until 1927. During this time, the Squadron also took part in operations against rebel tribesmen and insurgents on the Turkish frontier and received Victorias shortly before the famous evacuation of Kabul in 1928.